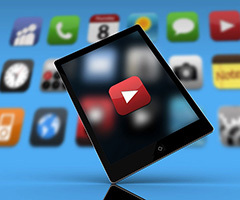 Video amplifies your content marketing results. 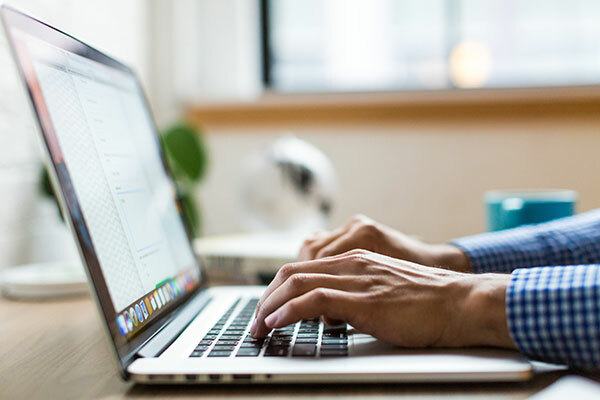 According to Marketing Sherpa, web pages containing video attract two to three times as many monthly visitors, double their time spent on websites, and thereby enable a 157% increase in organic traffic from search engines. However, there must be professional video production quality in order for these benefits to be attained. Shaky shots, poor lighting, inaudible audio, grainy or pixelated images, and stuttering playback can have the opposite effect. At Groovy Concepts, we have been offering corporate video production in Toronto since 2003. Companies of all sizes have come to rely on Groovy Concepts for quality corporate video production. We produce compelling, cutting edge videos custom made to match your company image, handling every step of the production process from concept to completion. Video production on the corporate level is not something that should be handled by amateurs. Protect your brand and ensure that your message gets delivered properly. Contact Groovy Concepts today for a production estimate. Great videos begin with great concepts. At Groovy Concepts, the video concept development stage is at the height of importance. We can meet with you in person at your location or through Skype or conference call to discuss your brand, company image, your products and services, and the message that you wish to deliver to your target customers or clientele. From there, we discuss with you the best options and aesthetics for attaining your video goals and the kind of video you will require.The concept should be thought of as “the vision” for your video(s). Once we finalize a clear and concise concept (or vision) for your video(s) and project deadlines are established, we then move forward with the next stage of your video production. The script is where the video concept is transformed into a blueprint that will help you accurately visualize how the video will play out in terms of aesthetics and timing. Groovy’s video script writers have vast experience in writing powerful scripts and have the ability to bring even the most elaborate concepts to reality. In this stage, all lines are written for the narrator and/or actors and suggested interview questions for CEO, staff, and/or clients (for testimonials) are also included in the script. Once the first draft of the script is complete, we send it to you for feedback. The script can then be edited if need be and upon your approval, we can then move forward to the next stage of the video production. Storyboarding the production is a very important step for any successful video. The storyboard is a visual treatment of all of the shots of the video drawn out in order of how and when they will appear with text descriptions and/or character lines appearing below each corresponding shot. Often a step that gets skipped over by amateur videographers, storyboarding allows the client to get a glimpse of how the video will play out aesthetically and can request last minute changes as necessary. 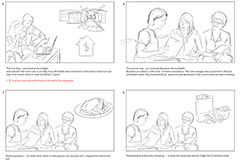 With a storyboard, the producer can also accurately plan out exactly how many different shots will be required and can estimate the amount of time needed to set up and film all of these shots. Storyboarding is a necessary step for realistic shoot scheduling and proper production management. Groovy Concepts will advise you as to the most effective procedure for your video shoot and will manage your entire preproduction organization including casting for onscreen talent (if required), studio bookings, location scouting/procurement of any or all necessary public production permits, and can even include makeup artists. If you and your staff will be speaking on camera (for interviews, instructionals, vlogs, etc) we can advise how best to perform on camera and how to look your best on screen. If we are to be conducting shoots at your company location, we can advise as to the best areas for shooting interviews and b-roll of staff, products, and services in action. Groovy Concepts makes the complicated task of video shooting simple and cost effective, and will ease your mind every step of the way. We utilize state of the art broadcast quality production equipment and highly experienced technicians for all our video production shoots. All our technicians have years of broadcast experience as well as advanced equipment certifications. Generally our shoots consist of between 3-10 production technicians per crew depending on the scale of the production. 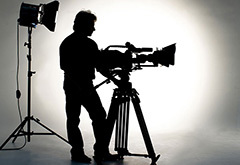 Typically we are able to have entire video production shoots completed in one 8-hour day. Steadicam, Dolly Track system, Jib, and Crane equipment also available upon request. Editing is one of the most crucial stages in the production. 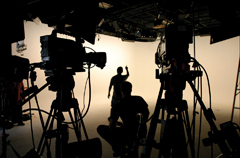 It is the stage where the video comes together and requires both professional equipment and editors. Groovy Concepts utilizes state of the art editing equipment and software to handle any scale of production. Our highly experienced editors will ensure that your videos become powerful expressions of your company message that will catch and hold your customer’s eye and attention. 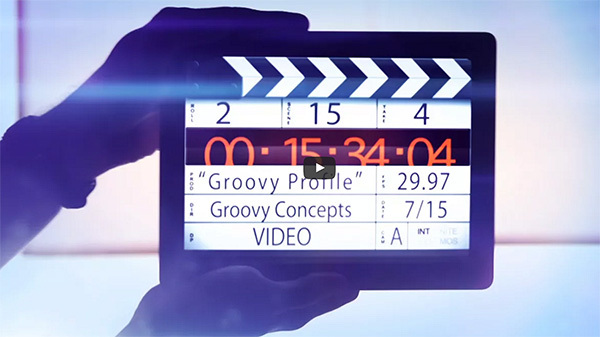 Groovy submits video drafts to you conveniently via web link to our online preview server. We send this link to you by email. Our preview server page can be instantly shared by you with your colleagues. 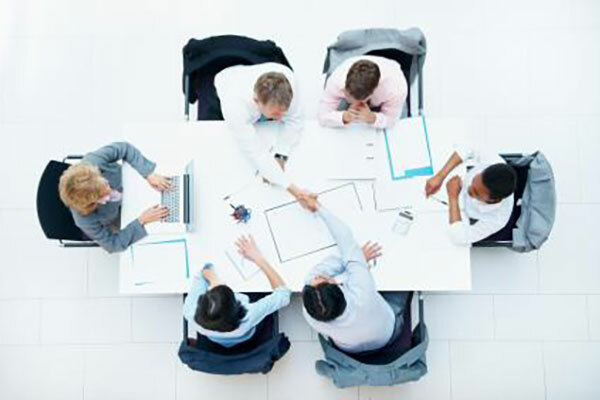 We can supply a number of edit revisions until your vision has been attained. Upon approval of the video, we can move onto the output stages of the video production. Groovy Concepts encodes your approved videos into premium self contained video files, which can then be published online for video marketing, delivered to you for internal use in PowerPoint presentations and events, and can also be outputted onto DVD and Blu-ray. Encoding in not a process for cutting corners. When people watch corporate videos, they expect to see high resolution images and to hear clear audible sound throughout the video. At Groovy Concepts, we encode high quality video files with crystal clear audio for any video format and technical specification you require. We can even transcode (re-encode) any existing video files that you may already have on file from past projects. Encoding can be a complicated subject for non-video production professionals. We can advise as to the best formats and specifications for your end user needs. Publishing your videos online is essential for video content marketing and is a crucial process that must be done correctly to attain the beneficial results of video. Groovy Concepts has been creating online video content for over 10 years and with our vast experience in online video publishing, we can advise you as to best practices for embedding your videos onto your website, posting your videos to the leading video sharing and social media sites, as well as how best to create online advertising campaigns. We also offer turnkey online video publishing and marketing services that build brand awareness and enhance customer loyalty. With Groovy Concepts, you can be sure that your videos will be delivered in the highest quality possible with the greatest reach across desktop computers, mobile devices, social media, and video portals. Call or click today for more information. DVD/Blu-Ray discs are a very simple and effective medium for the delivery of your video(s) in hardcopy form to your colleagues, associates, and clients….. most people today have DVD players in their homes as well as built into their computers. Groovy Concepts can create elegant custom DVD and Blu-Ray master discs for your completed video(s). Your DVD/Blu-Ray discs can be free playing/looping (great for tradeshow kiosks– just drop the disc into your player and it will auto-play and continually loop throughout the day) or we can create interactive DVD/Blu-Ray discs which can be handed out as digital brochures. Interactive DVD/Blu-Ray discs can include dynamic menus, company and product information, photo slideshows, etc. As well as creating a DVD master disc for your video(s), we can also duplicate DVD/Blu-Ray discs. The duplication process is ideal for low volume orders of under 500 units. In the duplication process the DVDs or Blu-Ray discs are “burned” in a multi burner duplication device using blank discs. Orders include up to 5-colour inkjet disk printing (disc label art), cases (slimline Jewel cases, DVD Amaray cases, clamshells, etc. ), case inserts, assembly and packaging. Turnaround times can range from a day to a few days depending on volume. Contact us today for more information about our duplication process. DVD/Blu-Ray replication is ideal for high volume DVD/Blu-Ray disc orders of over 500 units. In fact at Groovy Concepts, we can accommodate replication orders of over 1000 units, 10,000 units, 100,000 units, and more. In the replication process, a high quality glass master containing all the information from the original DVD/Blu-Ray master disc is created. The glass master is used to develop a stamper. The stamper, in turn, is loaded into an injection molding machine that creates DVD/Blu-Ray replicates. Through each successive step, quality and accuracy is consistently monitored to insure each disc is an exact replica or clone of the original. A layer of micro-thin aluminum is applied to the polycarbonate disc. It is then lacquered for additional protection and printed before packaging. Orders include up to 5-colour silkscreen printing (disc label art), cases (slimline Jewel cases, DVD Amaray cases, clamshells, etc. ), case inserts, assembly and packaging. Turnaround time can range from 7 days to a few weeks depending on volume. Contact us today for more information. USB Sticks are a versatile and cost effective medium to use for showcasing your videos anywhere your sales and marketing campaign takes you. Because it is a mini hard drive, the USB stick is ideal for use with tradeshow kiosk video screens (for looping videos), presentations, and for sharing your marketing videos and other materials with colleagues, associates, and clients. USB sticks can also be customized and personalized for great kiosk “swag” for your visitors. At Groovy Concepts, we can accommodate USB stick orders- large and small, for all of your sales and marketing needs. Contact us today for more information.